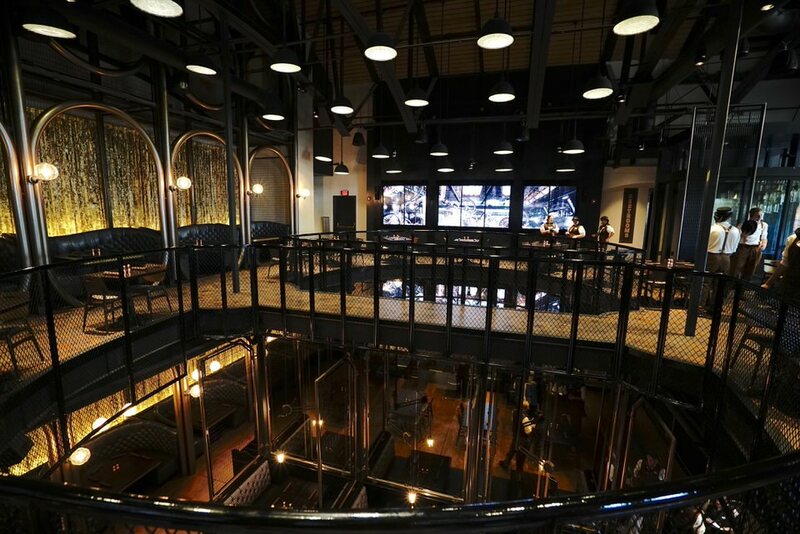 The Toothsome Chocolate Emporium & Savory Feast Kitchen experienced a lot of judgement and criticism long before it opened its doors for the very first time. Some couldn’t get past the theme, which appeared to be Steampunk meets Willy Wonka and the Chocolate Factory. Others struggled with the idea of a restaurant that may feature chocolate in every single dish. 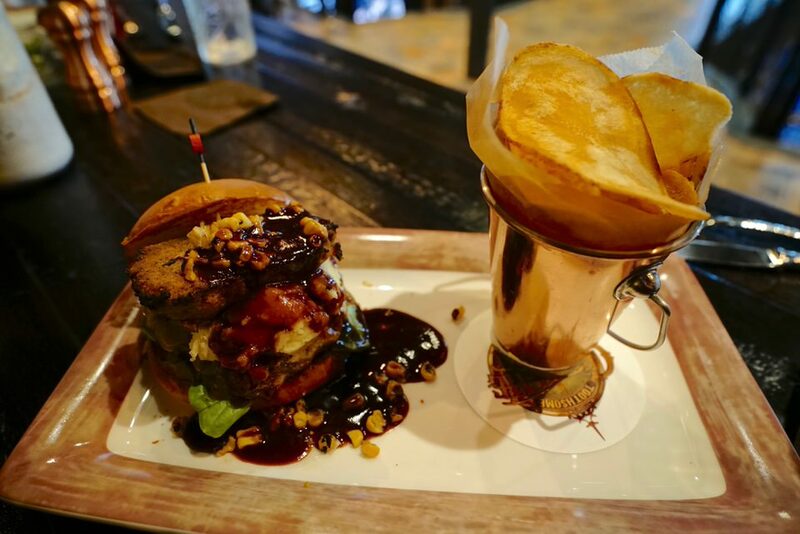 All of those preconceived notions are best left outside the door, because The Toothsome Chocolate Emporium & Savory Feast Kitchen has a lot to offer. Let’s start with the basics. 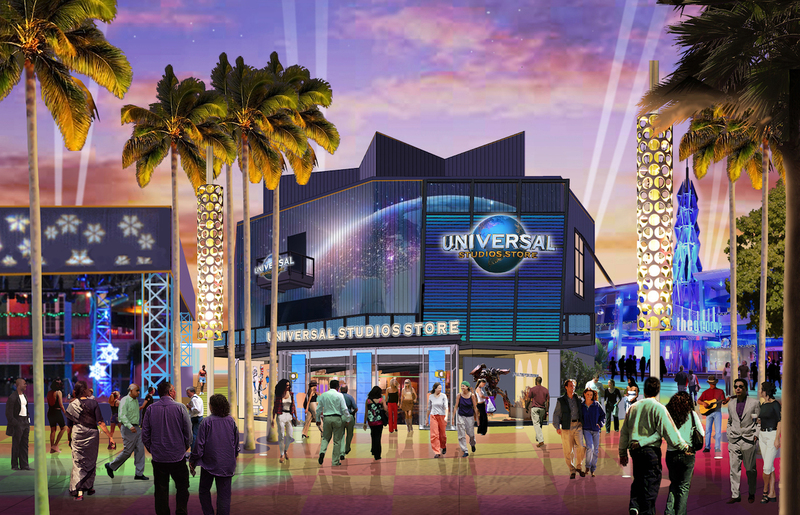 Toothsome is a heavily themed restaurant, really unlike anything else Universal has done in CityWalk. Toothsome is run by the time-traveling, chocolate-loving Professor Doctor Penelope Tibeaux-Tinker Toothsome with her robot Jacques. Penelope returned home after a journey to find her parents were nowhere to be found, leading her to build the emporium and share her love and knowledge of chocolate with others until they are all reunited. The interior is heavily inspired by Steampunk and for the time being you can even meet Penelope and Jacques. The plus side to this in depth theming is the amount of details found throughout the restaurant. 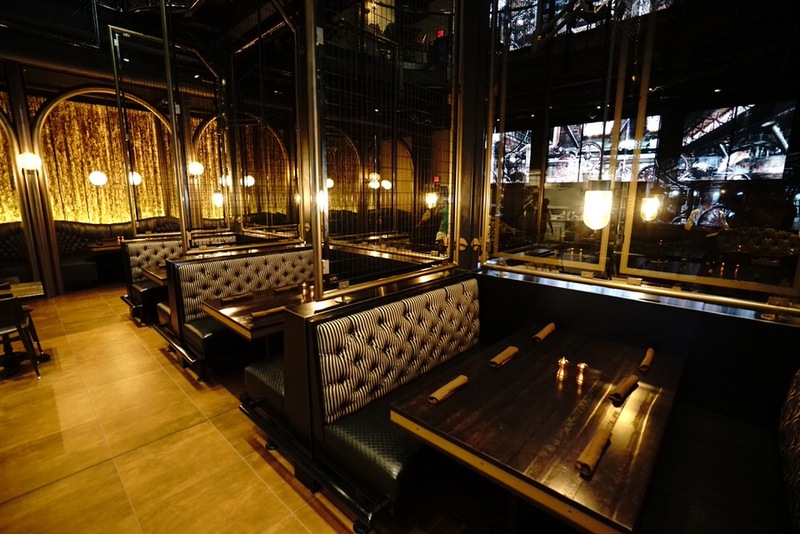 Toothsome isn’t just the type of restaurant you will want to walk in, sit down, order and leave. 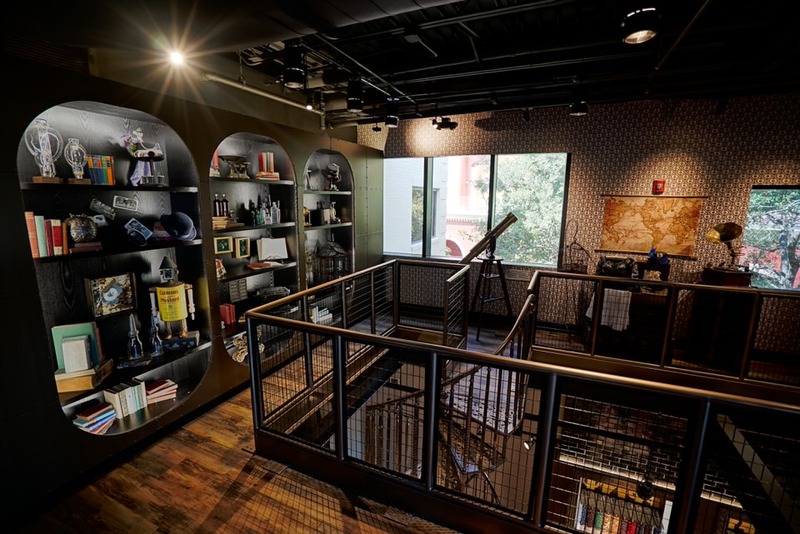 To have a true Toothsome experience you must explore and discover the little touches that take the theme to the next level. But what about the food? Well, we were able to sample a good amount of food and the results were promising considering we went on the first day of previews for the general public. What is even more surprising is how impressive the dishes are considering the size of the menu. The menu itself is an intricate book that includes the story of Penelope along with many craft cocktails, most revolving around chocolate and sweets, but there are also appetizers, soups, salads, flatbreads, pasta dishes, sandwiches, entrees, burgers, milkshakes, sundaes and other desserts. Oh, there’s also an all-day brunch menu. A family of five could probably eat here five or six times without having to repeat a dish. Like many of the newer Universal restaurants, Toothsome has a special beer brewed exclusively for the restaurant. 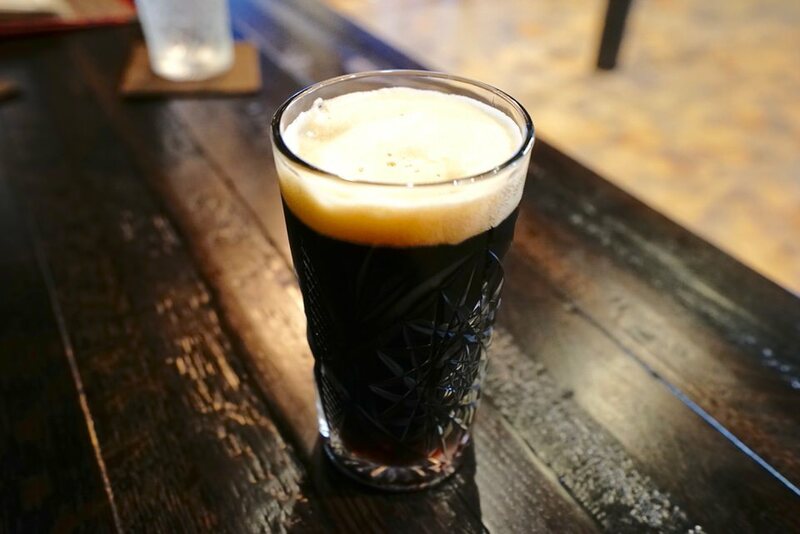 The Too Chocolate Stout is extremely smooth and very heavy with chocolate flavors. It would probably be too adventurous for the average beer fan, but if you enjoy Guinness or other stouts then I would highly recommend it. 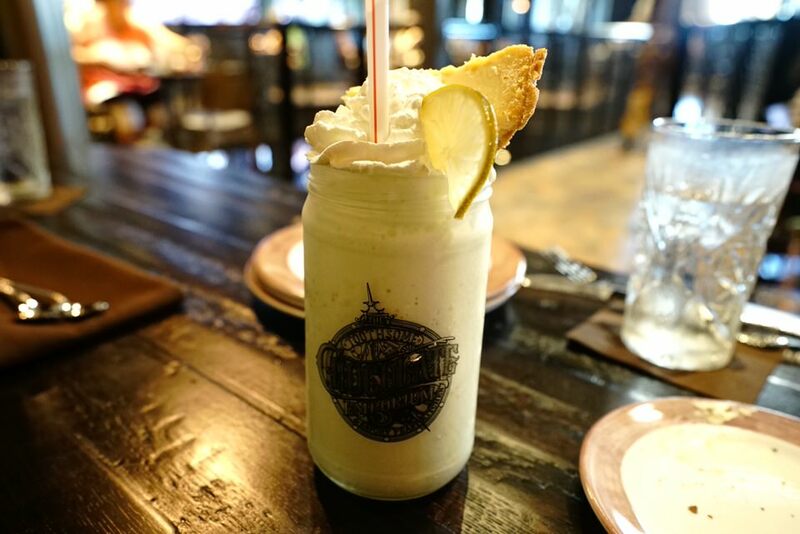 Now, some people would order milkshakes at the beginning of the meal, because they seem like they would be a drink and not a dessert, but at Toothsome they are better saved for dessert. Overall, there are 13 different milkshakes and each one is very unique and are extremely appealing to the eye. 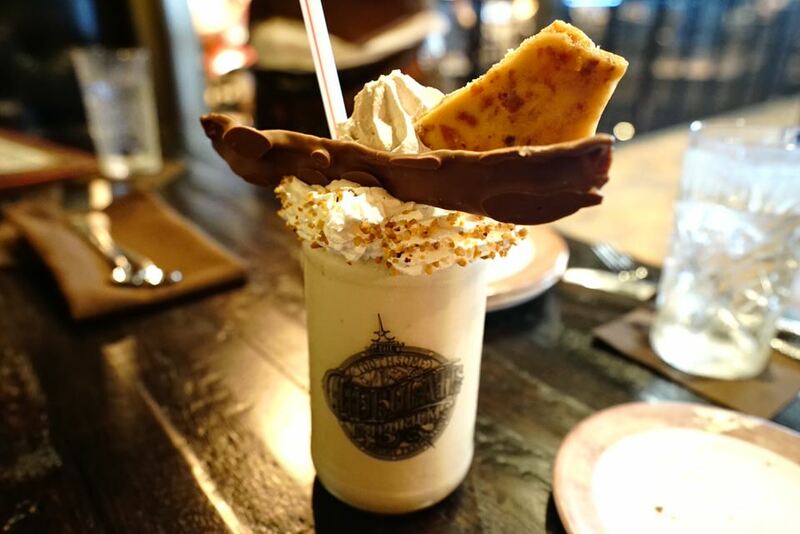 There is even a milkshake with an entire cupcake stacked on top of it. However, the milkshakes were not impressive to say the least. 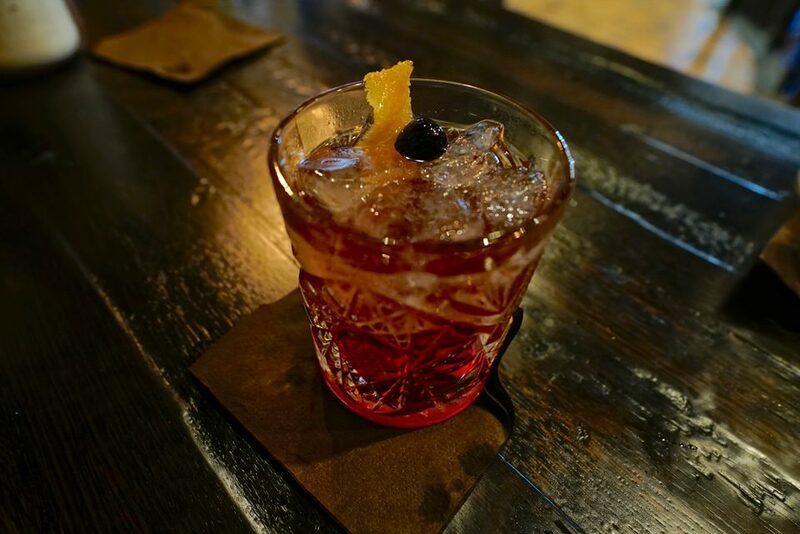 The flavors are there for the most part, but the steep prices are not lining up with the actual quality. We sampled three different shakes, including the Bacon Brittle, Key Lime Pie and Cinnamon Fantasy. The Bacon Brittle was made with bacon ice cream, bacon brittle, chocolate covered bacon and so much bacon for $12.50. While I’m typically a fan of bacon anything, this shake may have crossed the line of too much bacon. The Key Lime Pie shake had a base of sour cream ice cream with lime flavors and was topped with a piece of Key Lime Pie. The end result was a shake that was on the runny side and lacked Key Lime flavor for $12.00. Surprisingly, the pie was better than the shake. 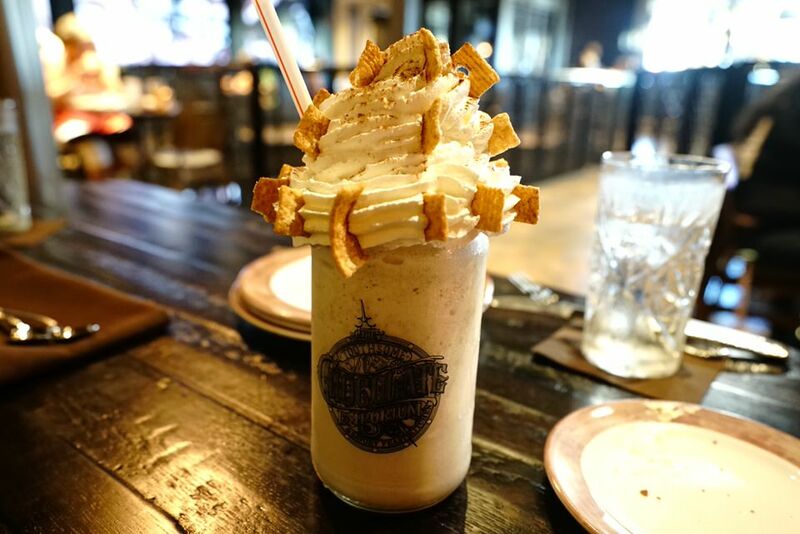 The Cinnamon Fantasy shake was Cinnamon Toast Crunch ice cream and topped with more of the cereal for $12.00; it ended up tasting like the milk left in the bowl after you finish your Cinnamon Toast Crunch. Depending on who you ask, that could be a good or a bad thing. The signature appetizer that was being pushed heavily is the Warm Chocolate Almond Bread ($2.95). 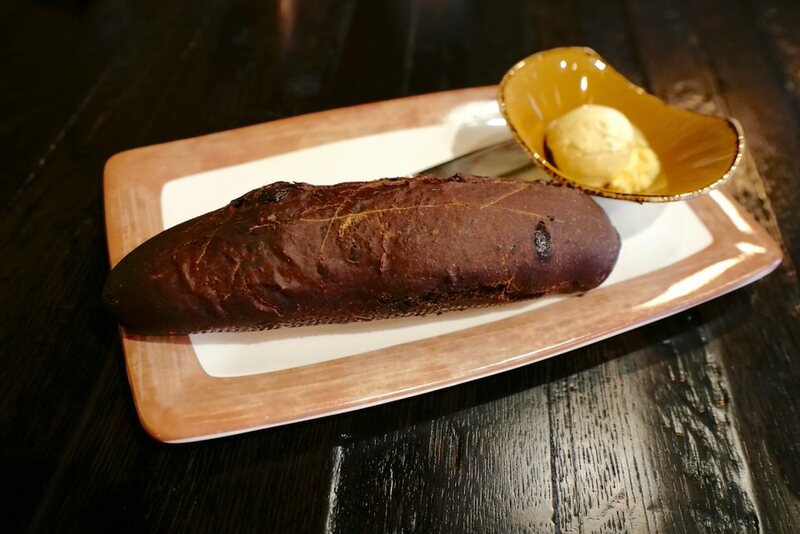 The fresh chocolate almond bread is served with salted caramel butter and definitely has a strong cocoa flavor, but doesn’t feel like a dessert at all. The Baked Brie appetizer ($12.95) is a classic party dish. 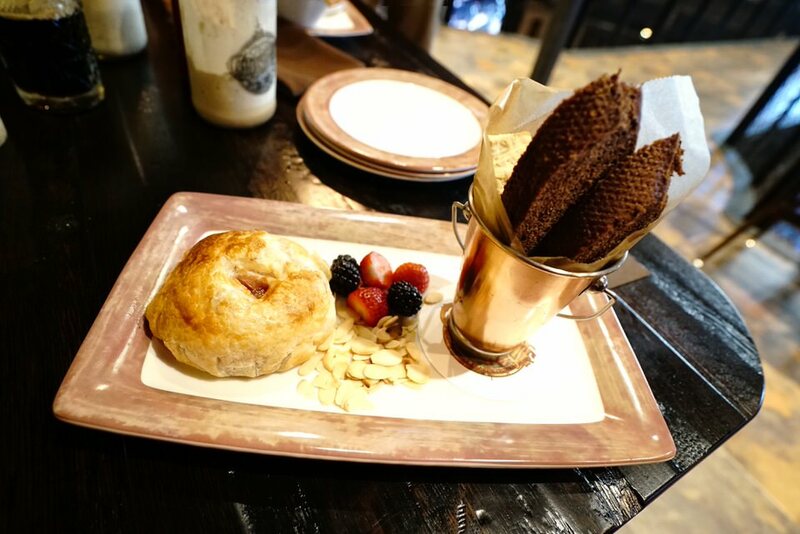 The Brie is baked inside a pastry puff, which appeared to also have some kind of jam on the inside and was served with fruit, MORE chocolate almond bread and oven baked lavosh. If you’ve never tried this dish before it is definitely worth sampling. 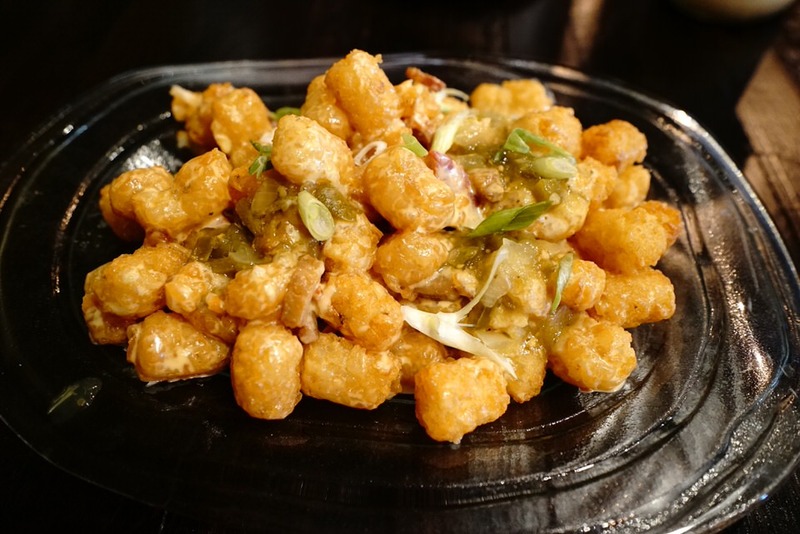 We also tried the Totchos ($10.50) and it was the winning appetizer at our table. The Totchos is comprised of tater tots, spicy green chili, crispy pork belly, and andouille sausage cheddar cheese sauce. If you can’t just look at the ingredients and figure out how good this dish is, then we don’t know how to help you. Tots? Good. Pork Belly? Good. In an attempt to kill ourselves faster, we skipped over soup, salad and flatbreads and went straight to the main courses and tried one sandwich, one burger and one entree. For the sandwich, we tried the Fork & Knife Grilled Ribeye Sandwich ($14.95), which was a ribeye steak sandwich topped with mushrooms, onions and so much more and served with a side of fries. The meat was succulent and the flavors from the toppings balanced the plate very well. The fries were disappointing and seemed to be standard Universal fries. For the burger, we tried the Blue Plate Burger ($13.95), which was a half pound burger topped with meatloaf, mashed potatoes, cheese, and served with house-made chips. 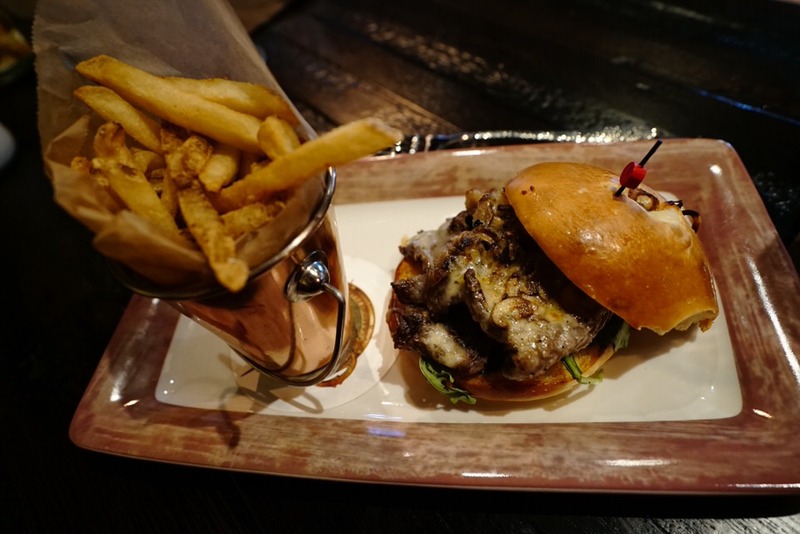 While the burger was excellent and definitely worth trying, the meatloaf was the star of the dish and almost would’ve worked better as a meatloaf sandwich, or not as a sandwich at all, which leads us to the entree… Brisket and Wild Mushroom Meatloaf. 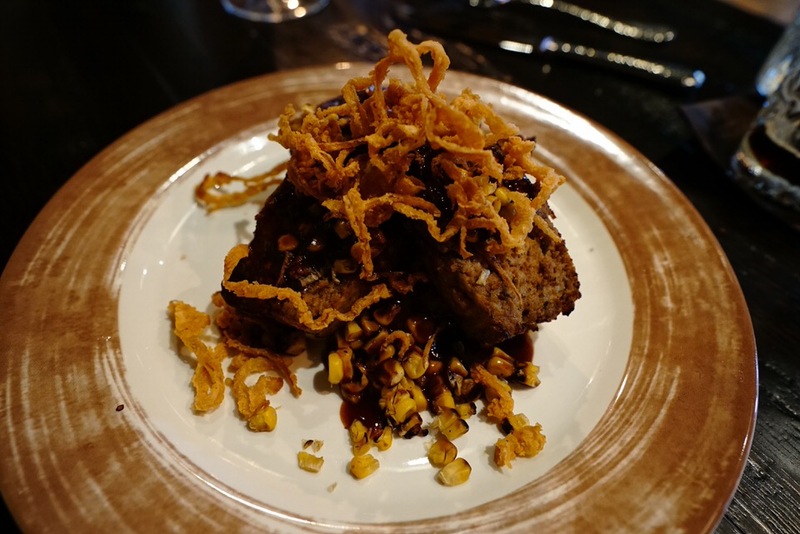 The Brisket and Wild Mushroom Meatloaf ($15.95) was two thick pieces of meatloaf served on top of garlic mashed potatoes, corn, crispy fried onions and doused in gravy. It was decadent to say the least. Definitely not your grandmother’s meatloaf. The portion size was massive, especially when enjoying appetizers and desserts and is pretty much a bargain for the price. Now, we were so massively stuffed from our culinary experience that we decided to bypass the sundaes and desserts and try some brunch instead. 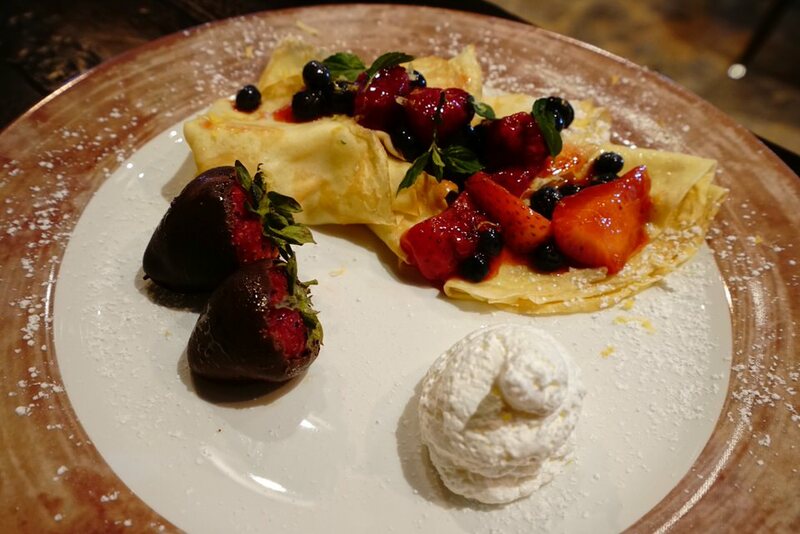 Our server recommended anything Berries and Cream-related so we chose to go with the Berries and Cream Crepe ($12.95), which was stuffed with lemon curd and topped with berries and cream. The only thing to say about this dish is amazing. It was so good that we would be inspired to return to Toothsome specifically to sample more brunch items. Now, cocktails were mentioned earlier and I should bring up the fact that we were able to try some of the signature drinks thanks to the manager on duty. Josh was generous enough to bring us the Old Chocolate Fashion, Wicked Cherry, and Chocolate Coffee Banana. The creativity behind the drinks really stood out and each one was unique and delicious. The stand out winner was the Old Chocolate Fashion, but that comes from a big whiskey fan. Our table was also in love with the Wicked Cherry. 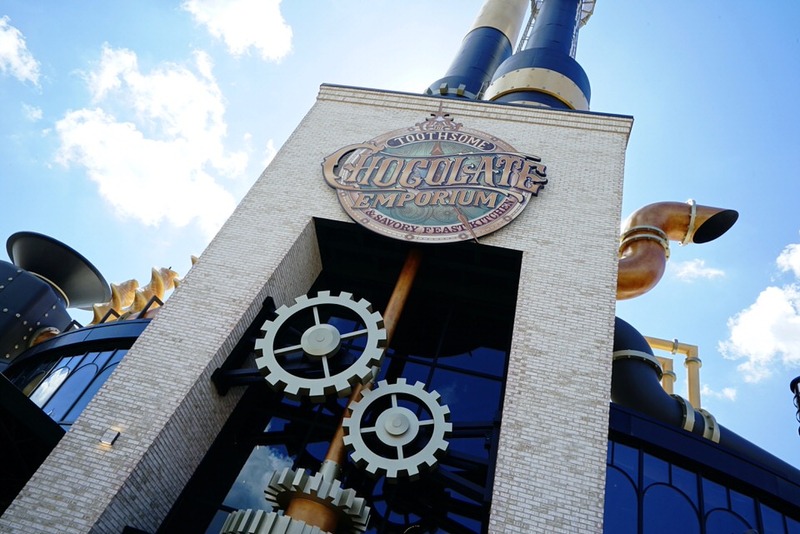 If you’re not interested in dining at Toothsome Chocolate Factory, we definitely recommend heading inside the restaurant and check out some of the chocolates and sweets made specifically for the restaurant. 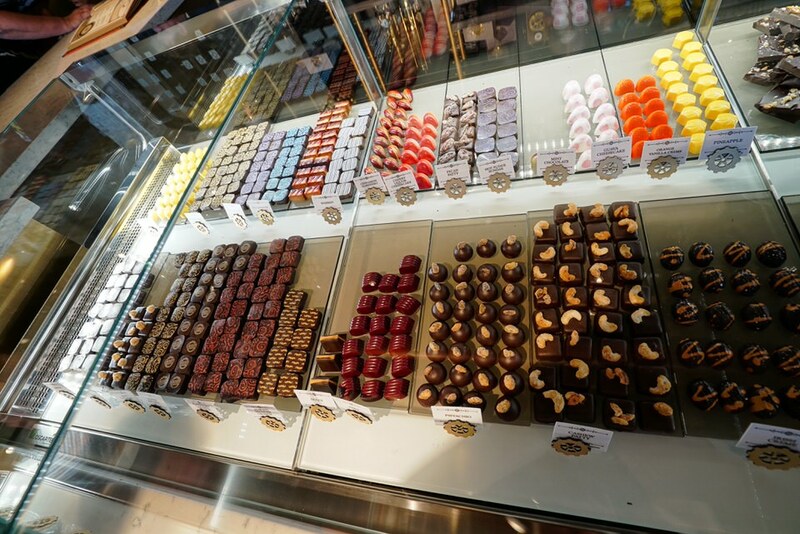 The chocolates are on the expensive side, but with flavors like Absinthe, Cinnamon Habanero, and Banana Rum they are worth a try and would make for a unique gift to bring back to those at home. Also, if you buy milkshakes in the to-go section of the restaurant, it will be served in a plastic jar with a Toothsome sticker on the front! Souvenir mugs all the way! 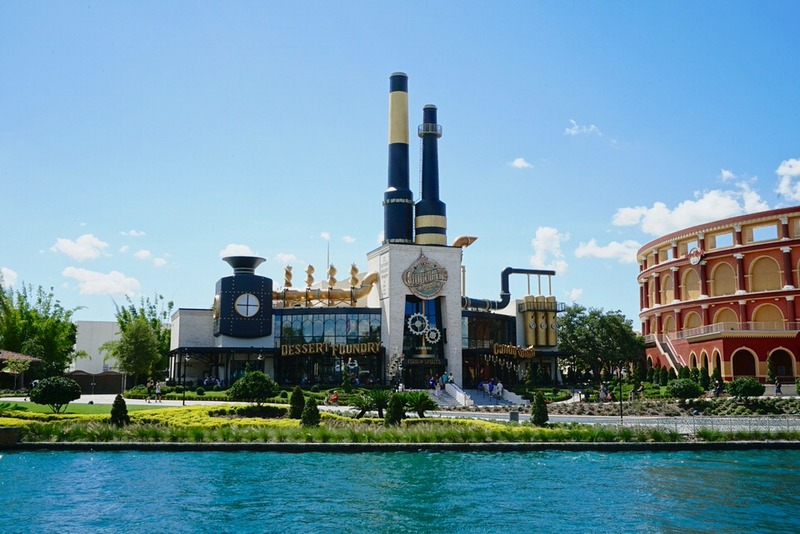 Overall, The Toothsome Chocolate Emporium & Savory Feast Kitchen has something to offer anyone. It is the perfect place for those with a sweet tooth, but it packs plenty of savory items for those who just despise chocolate. The theming translates well throughout the restaurant and the pricing is on par with the rest of Universal’s other original restaurants and still well below the prices you’d find down the street at Walt Disney World. 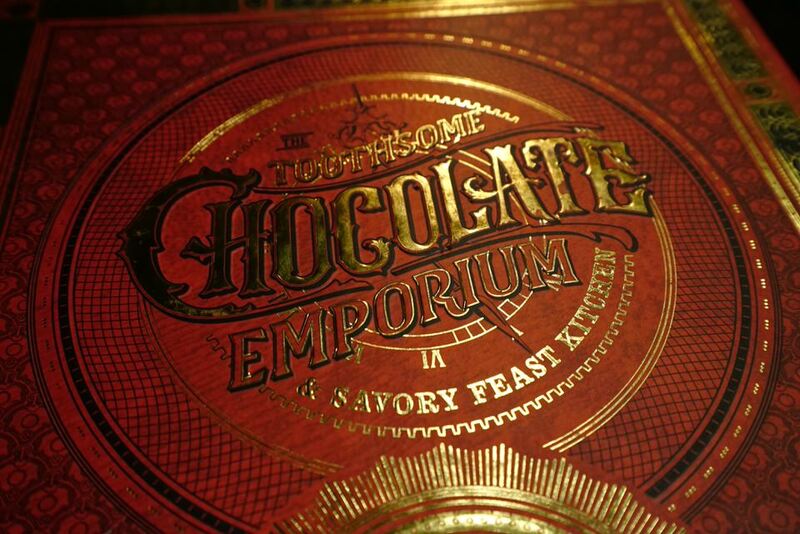 The Toothsome Chocolate Emporium & Savory Feast Kitchen will be open for limited hours until its grand opening later this fall. Do yourself a favor and give Toothsome a chance, even if you think that it won’t appeal to you. This is the type of restaurant you’d take friends or family to when you really want to impress them with a creative restaurant choice.